WordPress themes are the key element of this site’s work. There are free and premium WordPress themes. If you do not yet have experience and an impressive portfolio, then you can start by developing free themes. This will allow you to collect a large amount of valuable feedback and get the first real projects to be added to the portfolio. After that, you can think about creating premium themes and selling them. Do not be afraid to try and make mistakes along the way. All this will give you invaluable experience and extremely useful knowledge of web development and design that will be useful even outside of the WordPress platform. You can create WordPress themes as a direct developer and designer, or become part of a team to create such projects. First of all, you should determine the target audience and choose a suitable topic for the WordPress theme. You can draw inspiration from the most popular resources that sell WordPress themes: ThemeForest or Creative Market. We advise you to study these sites also in order to find out all the requirements and nuances for your future theme, which you will want to sell here. WordPress Plugins are the second most important component of the platform and the community. With the help of plugins, every WordPress administrator can create a project of his dreams, no matter how crazy it may seem. In addition, many plugins allow you to streamline and optimize the work with the site or blog. Automating the work of the WordPress project is also a very important feature, which is assigned to the creators of plugins for this site. As a result, plugins become a universal tool, without which no administrator presents his WordPress site or blog. Of course, you will need some knowledge in the field of web development to start creating WordPress plugins. But the working principles of existing plugins can serve as a starting point for your learning and the emergence of new ideas for implementation in the form of plugins. 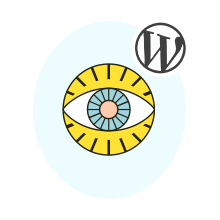 As with WordPress themes, you should define a clear target orientation for the plugin. The more specific its mission is, the greater its chances of getting its own target audience are. And again, by analogy with the themes, starting your work is better with free plugins for the sake of gaining experience and a good portfolio. You may be surprised, but many beginning WordPress administrators do not have practically any of the necessary knowledge and skills. This leads us to a logical conclusion about the need to provide consulting services for novice administrators. Certainly, some of them will try to gain knowledge and apply them in practice on their own. However, there are a large number of those who want to quickly launch the project and will not waste time on self-study. Such administrators will gladly use your services. It should be noted that consulting services do not imply direct work on setting up a website or blog. You just conduct initial acquaintance and answer all the questions that the client has. But do not underestimate the complexity of such work. Beginners will be overwhelmed with questions that you will need to answer in detail. You should be patient and able to submit new material. Pedagogical traits of character are useful here as well as possible. This service can be called a logical continuation of the previous one. There are a large number of large companies that have not yet managed to take care of creating a corporate blog. Sooner or later this need acquires the answer. But most often it turns out that the employees of the company itself are too busy with their duties to take the time to create a blog. Here you come in your pride. You can offer your services to famous brands for free, if you do not yet have an impressive portfolio. Then your time will come to dictate the price and conditions. The procedure for installing and initializing the WordPress blog is quite simple. If you are not confident in your abilities, then we advise you to practice with your own personal blog, which you can create for free on the WordPress platform. If you already have this experience, then you know that the process does not require deep knowledge, but it takes a lot of time. This is why you will be hired – to save time for employees of your client`s company. Try yourself as a freelancer or as a member of the developers team. Content writing is one of the most accessible ways of earning money in the field of freelancing. WordPress platform alone requires a huge amount of unique content every day. And all this content is created by people interested in writing articles, reviews or notes on the topic of WordPress or on more specialized topics. In addition, content writing constantly challenges you in the form of studying new features or nuances that you might be interested in writing about. Continuous learning is the best way for comprehensive self-development. We suggest that you read our article about Basic Tips for Creating a Perfect Text. Here you will find information that will allow you to structure your texts and create truly fascinating content. Over time, you can improve your skills and receive more and more interesting and highly paid orders. The process of creating content can really captivate its author. And maybe in the end you will understand that this is your true calling. Creating your own website and its monetization are one of the most obvious ways to earn online. Previously, we described this issue in detail in the article How to Monetize Your WordPress Website. Therefore, now we will dwell only on the basic aspects of monetization. The easiest way is to connect your site to the Google Adsense system, which will allow you to place paid ads on your website. Pay-per-view or one-click on the ad is quite small, so you should seriously think about increasing the audience of your site in order to improve the effectiveness of advertising. Participation in various partner programs can also bring some profit. When your project becomes quite popular, you can sell advertising directly to interested advertisers in the form of banners or advertising posts. For this you will receive more tangible income. Affiliate marketing is a great example of a WordPress website`s monetization based on topic you are interested in. The main idea of affiliate marketing is in recommendation on products or services you have personally used and liked. You need to use special affiliate links on your posts to direct your users onto websites which provide affiliate programs. The most well-known affiliate services are Amazon, Commission Junction and ShareASale. These services provide huge variety of products to advertise with your WordPress posts. Nearly any type of a WordPress website can find an appropriate product to make an affiliate link to it and get some referral commission as a sweet bonus. There is also an amazing opportunity to choose a WordPress theme created especially for affiliate purposes. We have gathered the best premium WordPress themes for this type of websites in the dedicated article. Sponsored blog posts essentially work similarly to TV, radio, sport or other branding advertisement types. You simply get paid to promote some product or service that need an advertisement and is open for negotiation at this point. The main advantage of this advertisement type is the full control on what you will promote within your WordPress website. This type of control is not possible with the Google Ads placement or similar banner advertisement platform`s opportunities. The downside of sponsored blog posts is the need of post`s creation itself. In other words, you need to invest relatively much time and effort to create and place this type of advertisement on your WordPress website. It brings much more money than banners or Google Ads but also demands some level of success for your WordPress project. In other words, nobody will order an advertisement on a new project that has no (or little amount of) visitors. The first steps towards sponsored blog posting will be the creation of a promo page, where you represent the analytics data of your project and offer your deals on advertisement. Moreover, you will need to keep the contact with your customers. Be ready to make lots of changes to your initial advertisement posts as well. Paid membership website are pretty often to meet on the WordPress platform. There are different types of paid membership websites depending on the topic and the peculiarities of your audience. For example, there are private forums, questions and answers communities, directory website and so on. In case of creating a paid membership website you do not need to restrict an access to all content on your WordPress website. Most paid membership websites offer some part of their content for free to grab user`s attention and focus him on the project. Advanced features are often offered with a monthly fee. Digital products or services can be created and sold within the WordPress platform with ease and style. Best examples of such products are ebooks, online courses and webinars. First of all, you should try to think about the thing you are really keen on. After that you can start to create your own manual in this field of activity. Ebooks, online courses and webinars are very popular now. People are looking for some knew knowledge and will appreciate your try to create some new manual. The interests could also be very different, so do not think that your hobby is not exciting for others — just try and you will definitely see results. Your WordPress website can perfectly serve as a platform for a useful service. Examples of such services are: online marketplace, auctions website, job marketplace and so on. These types of WordPress projects actually bring opportunities for people who do not own their own websites to place their private advertisement or look for a proper one. This type of a WordPress project does not demand the constant content creation process because your users will create the best content by themselves. On the other hand, you will need to moderate posts or advertisements on the constant basis. One way or another, you need to invest time and effort to create and develop a successful project. The choice is only between the types of work you would prefer to do eagerly. The last but not the least way to get money within your WordPress project is to accept donations from users. The main advantage of this monetization type is that you do not need to create any additional types of content except of what you really like to create. The idea is to expect a return favor from your audience. The main downside is pretty obvious: you can not be sure whether you will get any donations at all. Even if you already have got some donations, there is no guarantee that you will get another one some time soon. In other words, this type of monetization can be used only as some additional source of funding but not as the main one. As you can see, there are many ways to earn money on the WordPress platform. We have listed only proven and honest methods. If you can come up with some unique service for WordPress users, you can earn significantly more than using standard methods. However, familiar methods bring sufficient profit so that you can earn a living and develop your skills. We wish you success in training and providing your services within the WordPress community!